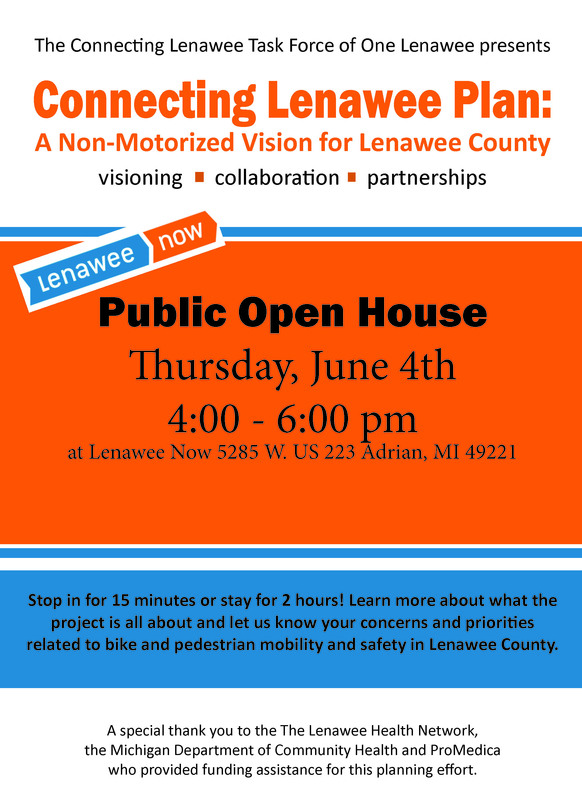 With funding assistance from the Lenawee Health Network, ProMedica, and private donors, the Connecting Lenawee Task Force worked with livingLAB to develop the Connecting Lenawee Plan: A Non-Motorized Vision for Lenawee County. The Task Force is comprised of representatives from groups such as Region 2, Tecumseh, Adrian, Hudson, Cambridge Township, the YMCA, Promedica/Bixby Hospital, Adrian Kiwanis Club, local business owners, etc. 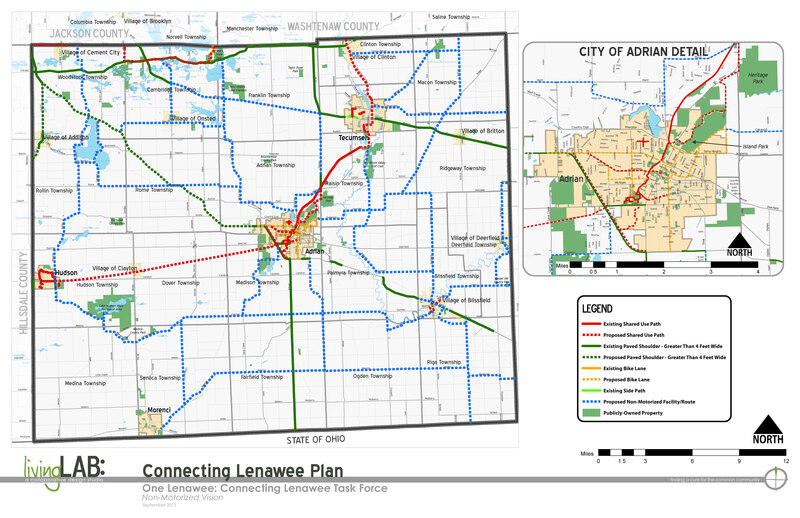 Using the MDOT University Region Plan as a basis to develop more specific details related to non-motorized priorities in Lenawee County, the Task Force worked to develop goals and priorities. 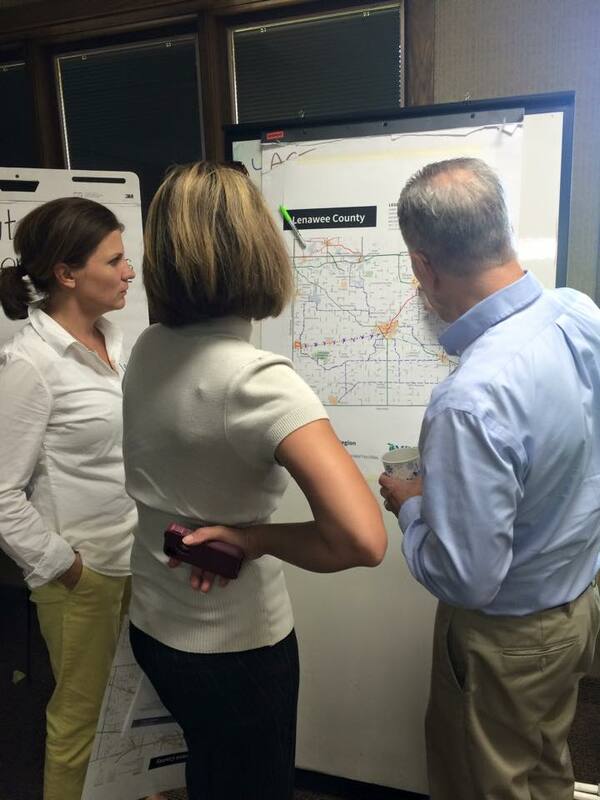 The overall goal of the plan is to continue to work with the various stakeholders, agencies, and organizations to make progress toward pedestrian and bike safety and mobility improvements. The focus is on making connections to and from the various destinations and communities in the County and adjacent counties.